There is an old Chinese proverb that is an inspiring message for sustainability and education. Most can probably quote it and explain the virtues of it: “Give a man a fish and you feed him for a day. Teach a man to fish and you feed him for a lifetime.” Nuru International certainly touts this same message as we have a strict “no handouts” policy. We don’t “give away fish” as we believe it is actually detrimental to sustainable development. “Teaching a man to fish” however is something we have believed in and embed into all of our programs. We are very intentional about training our Kenyan staff and developing an exit strategy so that they can manage, operate and scale the project once the expat staff members leave. If you’ve read about servant leadership or feedback from Francis and John, you know that Nuru has taken the “teach a man to fish” idea to another level by instituting the Nuru Leadership Program. These two members of the Nuru Kenya Leadership Program have trained program managers on the Nuru model, servant leadership and feedback. They have done a great job of learning and co-creating the materials they teach to staff. These leadership team members are going beyond “being taught how to fish.” They are learning that true sustainability is not achieved just because they learn how to do something from the wazungu (white people). Our intention with the Nuru Leadership Program is not only to teach specific skills but develop leaders who can make and implement the best decisions based on given options – especially when circumstances change and challenges occur. For example, what happens if the proverbial man loses his fishing pole or the fish somehow run out? If his only knowledge is how to fish to survive, then he is in a precarious situation. Without the tool to fish or the resources in the water, he will starve and die. The benefit of “eating for a lifetime” in the proverb only applies if the conditions never change, which is not realistic. 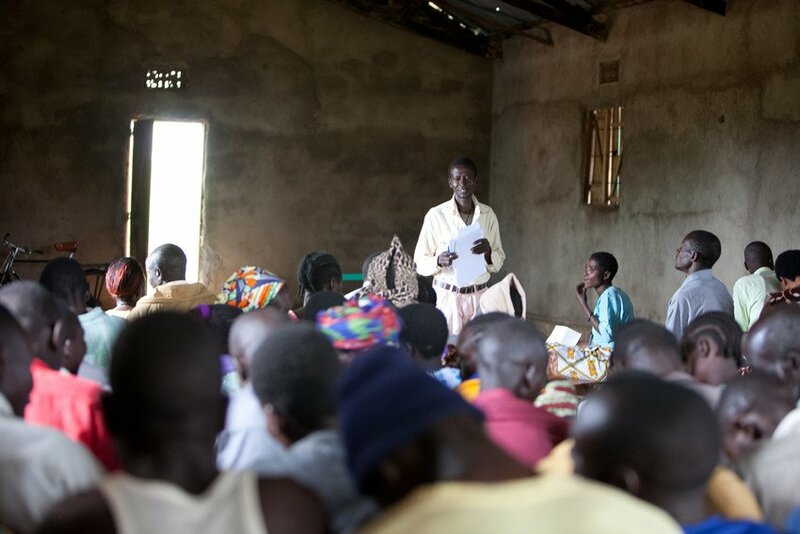 Nuru’s goal is to develop leaders and communities who can overcome challenges as they arise. So, if for some reason they proverbially lose their fishing rod or the supply of fish disappears, they can recreate a pole so that they can continue to fish – or perhaps decide to make a spear and hunt boars. It is not a sustainable development if the expats have to return and “teach a man how to hunt” because the fish supply ran out or provide a new pole because the original one broke. Nuru is teaching local staff how to make a decision that benefits their livelihoods in the long run, meaning that they would continue to make the right choices on their own over time. This also means that maybe we are not teaching them to fish in the first place; perhaps, we start by boar hunting or vegetable gardening. The local leaders know which options suits the community best since they come from the community. Our desire is to create this effect amongst Nuru Kenya staff as well as in the community. Our aim is for Nuru farmers to be able to make decisions that are best for their families given a number of options presented to them. As we teach Nuru members techniques to farm maize and provide loan inputs through our Agriculture Program, we don’t want them to work with us only because the wazungu came and taught them something. Ideally, the farmer would be able to determine that opting into Nuru’s Agriculture Program is the best decision for her family because she can harvest more maize to eat and sell. She would see it not only as a boon for her family but also as a move towards self-sufficiency and therefore be motivated further to use the Nuru method of farming. The Leadership Program is committed to developing leaders who can make good decisions for the future of Nuru and enabling people living in extreme poverty to make good decisions to lead their families and communities out of extreme poverty. Leadership Program Director — Thomas has worked in education and leadership development in Afghanistan, Ethiopia, Kenya, India, Mongolia and Uzbekistan. He holds a B.A. in Economics and master’s degree in teaching from the University of Virginia and an MBA in international organizations from the University of Geneva.